Does the data retrieval on students via State Longitudinal Data Systems and Common Core data sets have any similarity with the newly discovered data mining on all Americans? ...we now know that Silicon Valley, and the telecommunications industry, are the key to the Obama strategy for total information awareness. In fact, the internet companies, and the phone companies, were the spearpoint for PRISM. No, wait, that’s not the right image. Let’s try this: These communications companies put peepholes into all of our private lives, through which Uncle Sam could sneak a peek. Every e-mail, every phone call, every text-message--the government knows about them all. Yes, Big Brother walks among us now, peeking and snooping into everything. And we, innocently and unwittingly, invited Big Brother into our midst. 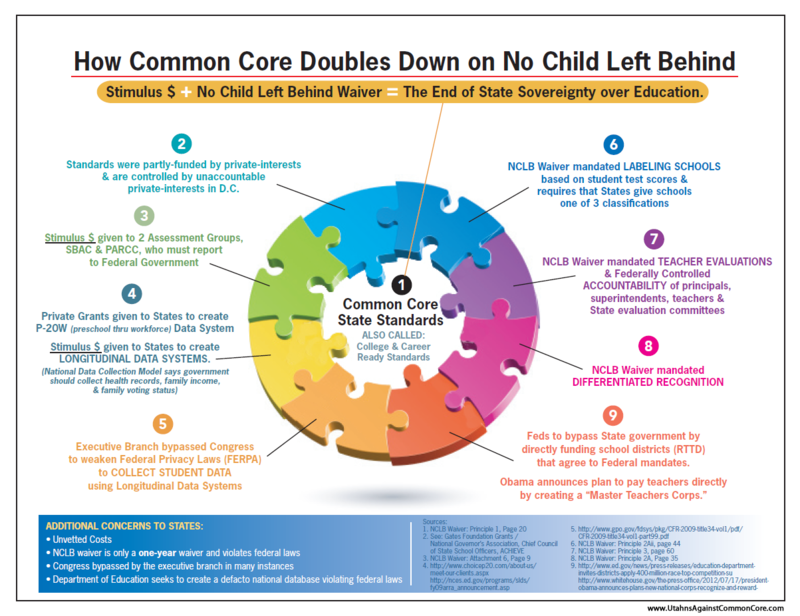 Think about how Common Core, state longitudinal data systems and educational nationalized development/delivery programs were adopted/implemented. These were done without voter/state legislature approval and limited knowledge. Is this similar to the development/delivery of PRISM and the data mining on all Americans? As our previous post shows, no agency/bureaucrat/politician/superintendent can answer simple questions about Common Core and no one is held accountable. ...as far as the American people are concerned, this domestic spying is a big deal. Yet revealingly, to the political class--that is, our leaders in Washington DC--it’s not such a big deal. And there we see the central cleft in our politics today: the widening gap between the government and the governed. According to pollster Scott Rasmussen, the American people oppose the US government’s secret collection of phone records by a whopping 59:26 margin. People know, in their bones, that unaccountable government is bad government; as Patrick Henry said more than two centuries ago, “The liberties of a people never were, nor ever will be, secure, when the transactions of their rulers may be concealed from them.” So when Obama said, on Friday, “I welcome this debate and I think it's healthy for our democracy,” we might ask right back: Mr. President, if you welcome this debate so much, why didn’t you begin the debate yourself? Why did you wait until PRISM was leaked? The reason, of course, is that Obama did not see anything objectionable about PRISM. Moreover, neither did anyone around him--in either party. On Sunday, the talkshow airwaves were thick with DC Establishment tools rallying around PRISM--that is, rallying around their own entrenched and centralized power. Only a few outsiders, such as Sen. Rand Paul (R-KY)--who has retained his outsiderness, even inside the club of the US Senate--are reading public sentiment correctly. Paul plans a class-action suit against the communications companies, inviting all Americans to join him. That’s the sort of citizen-engagement effort that the insurgent and outsider-ish Obama campaign of 2008 would have loved, even if the arrogant and insider-ish Obama administration of 2013 hates it. In fact, those Americans whom Rasmussen categorizes as the “political class”--that is, those connected to DC and governance--support PRISM by a 71 percent to 18 percent ratio. Meanwhile, the rest of the country opposes PRISM by a more than three-to-one ratio, 69 percent to 21 percent. Now let’s think about the enormous chasm here: The political class supports the program by a 53-point margin, while everyone else opposes it by a 48-point margin. If you add up those two margins, 53 and 48, you get 101. That’s a vivid indicator of the gap between the government and the governed. So here we see it: The elites think one thing, and the people think another thing. Nothing new there, of course, except that rarely, if ever, has the dichotomy between overdog and underdog been this stark. Something is going to have to give. We are on the cusp of some huge shift in power relations between the core and periphery, between the DC Beltway and flyover country. Right now, Washington has the upper hand, but an aggrieved population can always win--if it is willing to stand up and fight. In the minds of ordinary Americans, the fuse of outrage has been lit. Now this is the question: Can honest but responsible leaders, truly reflecting populist anger, find a way to force change in DC? Moreover, can this needed reform happen without tearing apart the country? But we must know this for sure: One way or another, a revolution is coming. 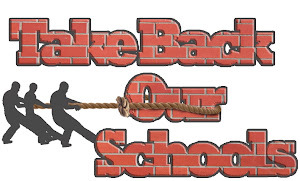 Maybe we can talk Senator Paul into file a class action suit against Common Core State School Officers and the National Governors Association for the invasive data retrieval mandated by Common Core State data sets. 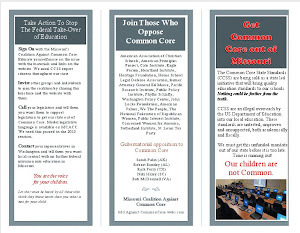 What is the difference between data mining on American citizens via PRISM and data mining on public school students via Common Core mandates? There is NO ONE in DC that is on our side and that includes the ones that are out there making you THINK they are on your side. They are the shills sent to keep us at bay to make us think they are going to help us so we don't take matters into our own hands. Sadly, the only people that will stop what is happening in THE AMERICAN PEOPLE but most are happy to let others do what they should do. Understand there is no difference between Rand Paul, Mike Lee and the rest of the supposed conservatives on the side of the constitution and the people. They are pablum for the patriots. Just as Rush Limbaugh and Glenn Beck. Sorry but you keep looking for a hero to come and save us. The only hero that is going to save this country is staring at you in the mirror. I can't even begin to understand why the NSA story is a story...come on...of course the gov't is spying. But if that is a story, then why isn't the ccss data mining a story?